Why be square when you could be Round? 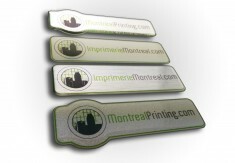 If you're looking for commercial quality sticker printing in the Montreal area, you're on the right page! 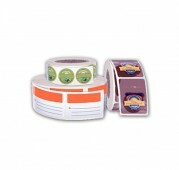 Full color stickers in a variety of shapes, sizes and materials. 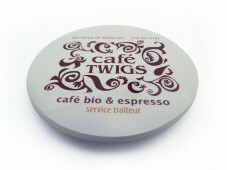 From standard paper stickers with a glossy laminated coating to roll labels which are offered in paper, clear plastic or chrome finishes. Most of these stickers are meant for indoor use, if you are looking for outdoor applications, choose our vinyl roll labels which are water and UV resistant. 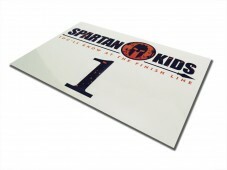 We also offer adhesive vinyl in large format, if you need something that you can't find here, just let us know and Montreal Printing will get back to you with a quick price.